Experience a special camping experience in our sleep barrel! The cozy camping barrels are equipped with a large family bed, as well as two additional beds and make your holiday an unforgettable, idyllic experience. 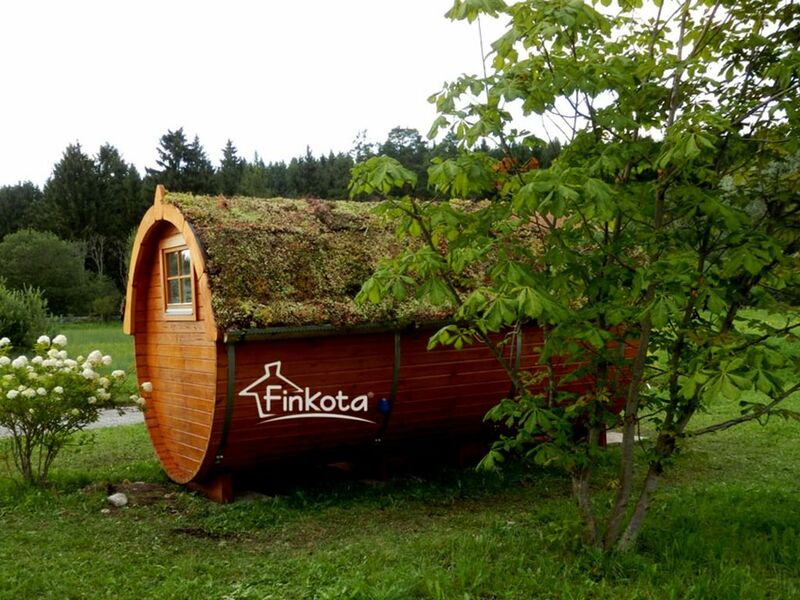 With our camping barrels made of pine wood, you are close to nature: Escape the daily routine and enjoy the unique wooden room climate relaxing hours alone or with loved ones. Under the double bed is a large dining table integrated, which can be taken off to the front. The barrel offers enough space to relax, cuddle or play. Kleintierzoo. A picnic area with swimming area, a ride on the Ziegeleibahn over the entire area and a multitude of possible activities will make your trip a unique experience. Luftzikulation. There are sockets available for charging your electrical appliances. The mattresses are made, you can borrow from us bed linen for a fee or alternatively bring your own sleeping bag. The sanitary facilities of the campsite are at your disposal. Our marina shop offers maritime fashion and a bread roll service in addition to everyday items. Right on the banks of the Havel, you can rent a canoe, motorboat and even a yacht to explore the surrounding water paradise. Enjoy your nature holiday with us - only an hour's drive away from Berlin! Our sleeping barrels are located directly on the banks of the Havel and on the grounds of the museum "Ziegeleipark". Here begins the Brandenburg and Mecklenburg Lake District - the largest inland water sports area in Europe. Dense forests, romantic rivers and idyllic lakes can be explored from here.